Conceived when Maserati was under De Tomaso's stewardship when budgets were tight and finally brought to the public by Fiat after its buyout during its development, in 1989. 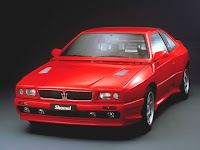 In fact despite the modern body designed by Maserati's Design Centre in conjunction with Marcello Gandni (Lamborghini Countach), the chassis underneath though spanned back two models to the Spyder in 1984. 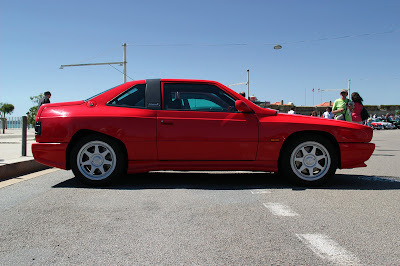 Now lets get back to that body, you can't miss those widened box arches that hint that this sports car has rally connections. 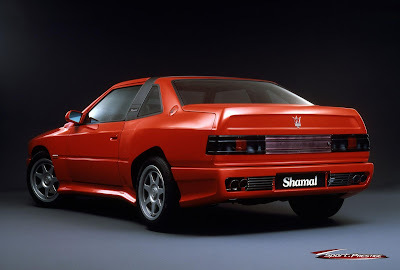 But like so many cars of the era they were just for show, just like that "of the time" bonnet spoiler which I must admit I really like. 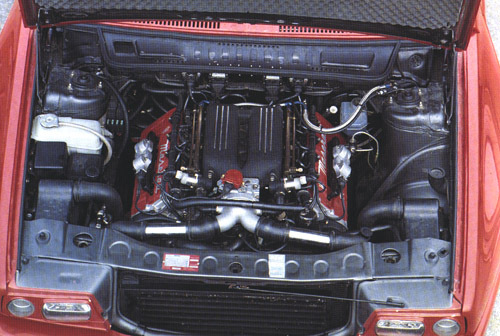 This car though wasn't all just show and no go, it was the first Maserati to be fitted with its in house 3.2ltr V8, essentially the old V6 with extra cylinders, but still banked with those two turbos. 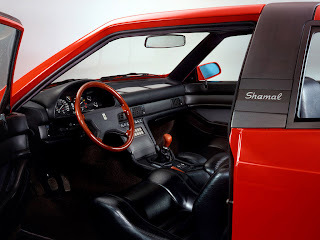 What did this give the Shamal, well 326bhp and a top speed of 168mph and a 0-60 in 5.3s. 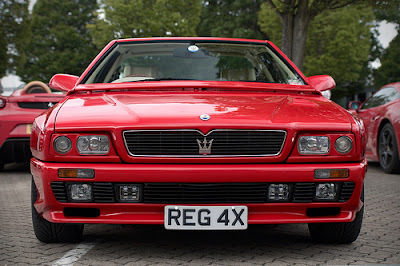 Those extra cylinders probably pointing at the aspirations that Maserati had for this car. In the original Italian press release the term "muscle car" appeared clearly showing where this car was clearly aimed to sell over the other side of the Atlantic. It was also the first car fitted with electronic suspension allowing the driver by simply pressing a button on the dash to soften the ride. Pretty high tech stuff from the late 80's, however it didn't seem to tame the old chassis. 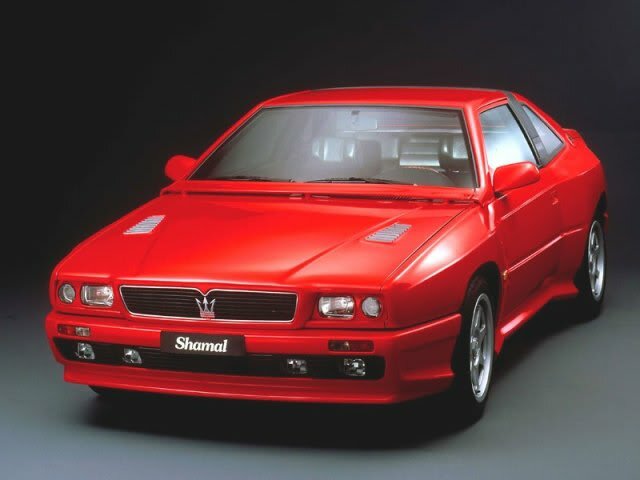 In total 369 cars were handbuilt between 1989 and 94, which defiantly makes it more exclusive that some other Italian handbuilt cars!!!! 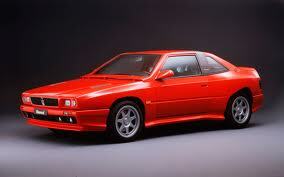 The low numbers probably had something to do with the price tag of £55,000, that was more that a Porsche Carrera RS.